After winning The COHO Championship Cup with his Empire Hockey Team, Brad attended Mesa College in 2005 where he studied Business Administration. He returned to Orange County and began a successful, but often stressful, career in the mortgage industry. In 2015, everything changed and he was forced to make decisions that would change the course his life, and as a result his family’s and everyone who loved and cared about him, in a positive way. Brad received his RADT and is a Certified Sober Coach. His role as Admissions Counselor he feels is the perfect fit for him. He is meant to help families like he was helped. 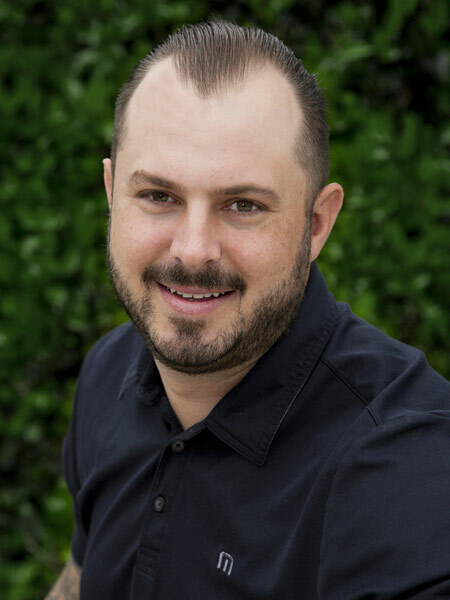 He is an asset to the team and his calm, caring nature invites those on the other end of the phone or walking in the door for the first time a sense of ease and comfort that maybe everything’s going to be OK.
Brad is an avid golfer. If he’s not working helping someone get into treatment, you’ll find him on a golf course.